Learn the inside tricks to increase your efficiency, get organized, and be awesome! All the tips and tricks you need to get started! 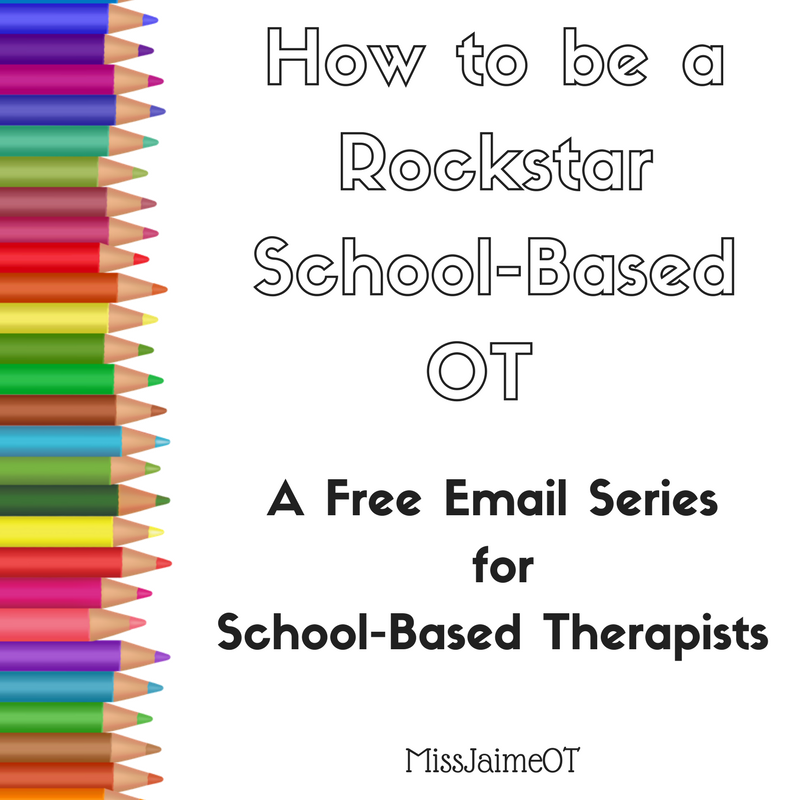 This free email course provides tons of strategies for getting organized, must-have therapy tools, free handouts, and the apps and websites every school based O.T. needs to know about. Be a Rock Star O.T. Start your free email series today! © Copyright 2019 Miss Jaime, O.T., P.C.. All rights reserved.